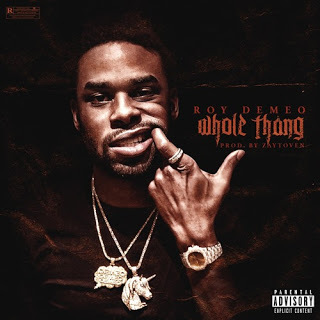 New Orleans native Roy Demeo gets A-list production from the legendary Zaytoven on new single "Whole Thang" off his upcoming project KingPin. "Whole Thang" is a trap-inspired slapper and has all the making of hit in 2018 between Domeo's bouncy flow and Zaytovens work on the boards. The single is also backed by a quality visual directed X Spiff TV who perfectly captures the persona and lifestyle of the lavish hood superstar Roy Domeo. Check out the visual below and look out for the KingPin project set for release on May 5th. KingPin will be hosted by DJ Drama and include star-studded features from Lil Wayne, Wale, Young Dolph, and Curren$y so it seems like Domeo is set to take over the summer.